Time of Awakening... Access to the Spirit World: It's all about Self-development - Yes it is All About YOU! It's all about Self-development - Yes it is All About YOU! How many times have you heard people say "oh no, I don't do that self development stuff" or during the conversation you pick up that your conversationalists believe it is selfish if you are concentrating on you? I have heard it soooo many times. However, it is all about self-development, it is all about YOU! You see simply put, if you are unable to work on you, you are unable to help others fully and effectively... the last words of that sentence are the most important "fully and effectively". Plus life genuinely gets so much easier the more you learn about you and why you have done/still do certain things, it means you are fighting yourself less and less and accepting, developing more and more. I wonder how it came to be that we as human beings at some point thought we knew it all.... when we became so arrogant (for want of a better word) to think we could not possibly find out anything else about ourselves and the world around us so that developing our consciousness, our awareness was no longer important. That notion to me seems ridiculous and yet it has been happening for years and years and years. 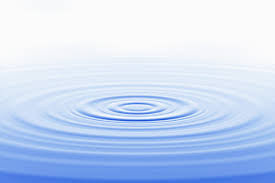 Having said that, I have noticed a ripple, a ripple that has been getting larger and larger year after year for about the last 15 years. This ripple has been an awareness in more and more people that to be able to create a better outside world they have needed to look and make changes from within. And here is the ironic things for those that have thought this self-development, self journey is a selfish one, the more you connect from within the larger the connection and understanding you have to the outside world. Energy for one. As many avid readers of this blog know I am all for trying to help educate and bring more awareness to the topic of energy. The more you connect from within the more you understand and develop the senses to be more aware of the subtly nuances of energy, which means you also feel the connections of that energy all around you, in people, animals, nature, objets, well pretty much everything. The more connected you are to the subtle energies the more you want to protect the environment and everything that is living in because the more you are aware that we are all connected and everything we do has an effect somewhere along the line. So, it really is all about YOU first. 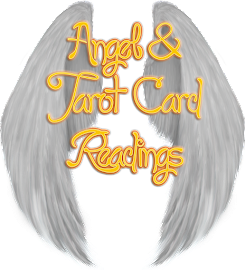 I have conducted many EFT sessions, readings and had many discussions with friends and the like with regards to relationships. Even with relationships working on yourself can be the greatest gift. For those struggling with but I want my partner to be... or just do.... you come to the realisation of acceptance rather than change. With this acceptance also comes the realisation that actually you can never change anyone, you can influence but the action of change has to come from that person because they want to. And again with this gained knowledge all those tensions are released and you discover what it is that you want and how you want your life to be. It is empowering. 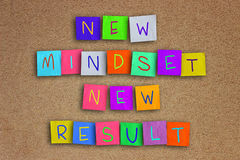 Self-development also helps you to really connect with what it is you really love doing and so helping you to discover the perfect career path to you so that work is no longer the bind or the grind, it is enjoyable, fulfilling and rewarding. Well, me personally I think I will always be a student of life... there is so much to learn, so much to discover. However, there is a big difference in learning and attending. Ah, the perpetual attendees..... I have met many, maybe you have too or know of one or two. These are the people that attend course after course, seminar after seminar and yet stay the same. My dear friends stop... mainly because it is costing you too much and you are attending for the wrong reasons, yes, you may get your energy fix and feel awesome when you are there only to return home to feel... well the way you did before which is why you go to another and another. Really for you to gain anything a clue is in self-development, it requires YOU to do something, attending is not enough. You need to take action on the information given. This is why it is most helpful for the majority to work on one area at a time and fully immerse and complete that before moving on. This is also why for many courses the information is no longer fully accessible, it is provided lesson by lesson, week after week. This is to help you to manage the information and have time to act on it before moving on, otherwise too many skip ahead so the information is non effective as it has not really been taken in. A bit like speed reading it becomes more about finishing the content than the journey the information can teach you. Have you been on a self-development journey or thinking of where to start? Then do leave a comment as I would live to hear from you. Also please do pop over to my facebook page. Hi Traci, i really enjoyed your latest blog. I am often torn between wanting to develope myself and help me to move forward, no only do i not know how but the biggest problem is myself i feel i am being selfish, i am a mum to 3 (2 have additional needs) and i am currently house bound due to illness. How can i take time to myself surely if im feeling ok i should be spending time with my kids or appreciating my hubby/carer who moves heaven and earth for me. I would love to improve myself however i always get stuck in the same cycle, which leads me to give up or fail. I love learning and i know i have a lot more to learn about the world and me. Its nice to read your blog and know im not alone in my feelings. You always know how to strike a chord with your readers. Keep up the hard work and most inportantly GET WELL SOON. Aww Sami, I understand the dilemma all to well and I have to say that I also think society really does not help on this issue. We are all made to feel as though we are super women and can do it all. What I do know is this... I tried to be super women and failed miserably but I failed myself and I failed my children as I was so exhausted. When we do take out time for ourselves to connect, to get a deeper understanding we will have renewed energy, enthusiasm and zest for life to then enable us to be the best version of ourselves for our children. I do so much less now but the quality is way more and I do take time out to meditate and I do not always meaning 30 mins even, sometimes it can just be 10 minutes in the morning before getting up.